A year of Daily Photos ago: And They're Off! 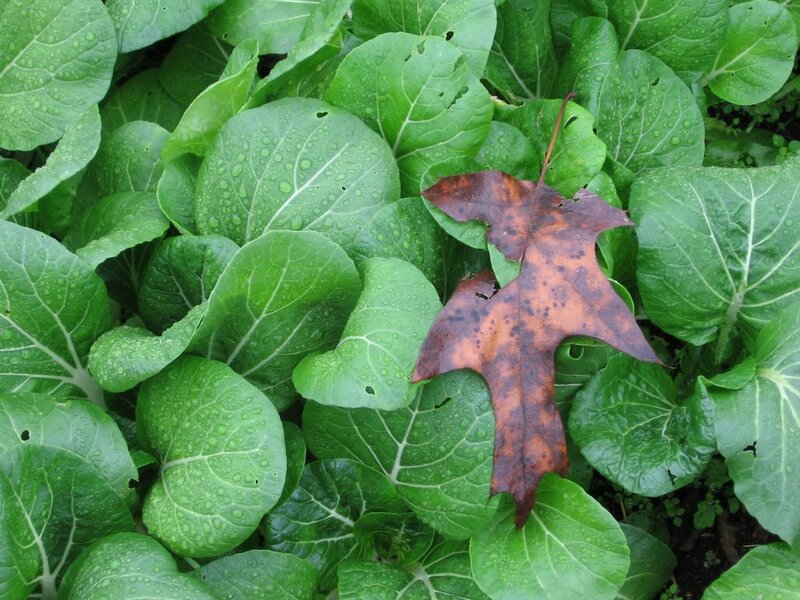 Beautiful pic Fg, nice contrast in color, the orange autumn leaf and the fresh green of the salad leaves. Looks yummy too!!! Do you hunt for your own turkey for thanksgiving? Beautiful - your greens look so good! The slugs got all of the greens that I planted for winter. I guess I'll just have to enjoy yours! I love the color contrast here--the brown is SO striking against the greens. Do you give frozen/funky greens to your chickens, FG? Or do they turn their beaks up at greens that aren't fresh? Truly stunning. I had an entire bunch of tat soi with my lunch the other day. Wonderul, wonderful green autumn. Thanks for posting this, I wondered what the volunteer greens were in my garden! Never grown them before, so I now suspect my asian neighbors came by one night and sprinkled seeds into my garden for me? When I started growing some of our own veg last this summer, I thought it would be for the 3 summer months. I never dreamed my spinach and swiss chard would still be flourishing at the end of November .... definitely worth while. I've saved a fortune and reduced my carbon footprint.